A slip and fall accident is the worst thing to happen to someone when they are least expecting it. Not only it causes you embarrassment, but a serious slip and fall case can result in grave injuries ranging from head or neck injury, hip or spine injury, bone injury and more. Such severe injuries need specialized medical care and long-term hospitalization & rehab. Also, in some grave cases, it might cause brain damage, permanent paralysis, immobilization or loss of flexibility. If you are suffering from the heart-breaking consequences of a slip and fall case just because a property owner wasn’t able to render his/her duties perfectly, you are entitled to claim for slip and fall settlements. The process of claiming for compensation is long, cumbersome and overwhelming, especially when you are dealing with bodily injuries already. Here, hiring an expert Slip and Fall Lawyer becomes important to ensure effective recovery and compensation. An expert can help you get the justified settlement you deserve for your condition because of the accident. It is the responsibility of the property owner to maintain a secure facility to facilitate invitees, licensees, and trespasser safely. 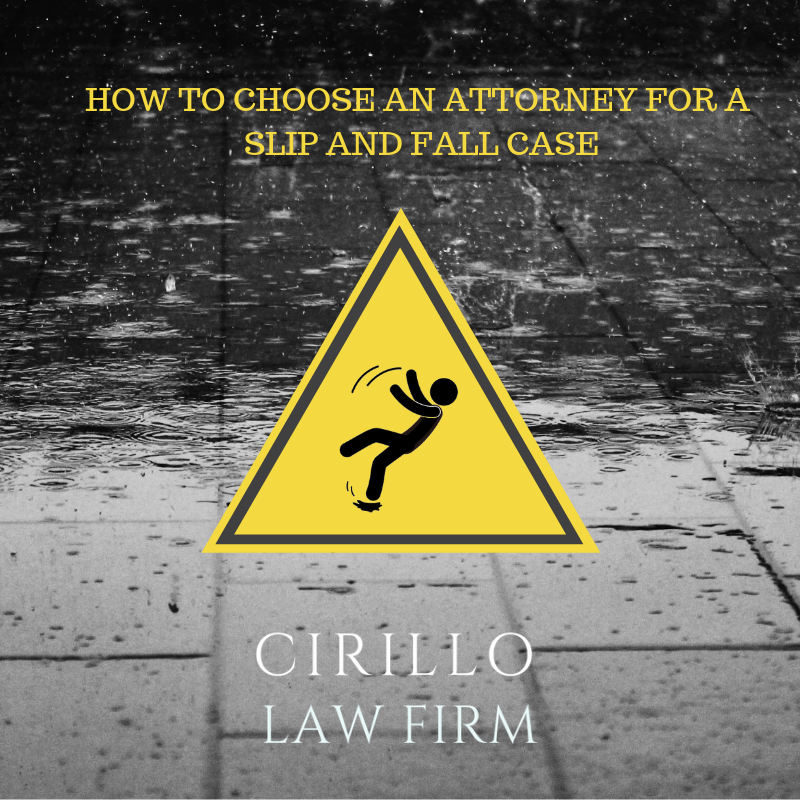 In case they fail to do that and a slip and fall case happens, the injured person has all the rights to file a compensation claim with the help of a professionalSlip and Fall Attorney. · Check the market reputation and experience of the attorney you are considering to hire. · Make sure they have handles your type of cases. · Hire a slip and fall attorney from a reputed Personal Injury LawFirm New Haven, CT.
· Talk about the finances such as fees any other expensed to proceed with the court formalities and more. Once you hire the best attorney for slip and fall case, you may rest assured that the attorney will take care of everything that should be done to get you the justified claim for your loss and sufferings.